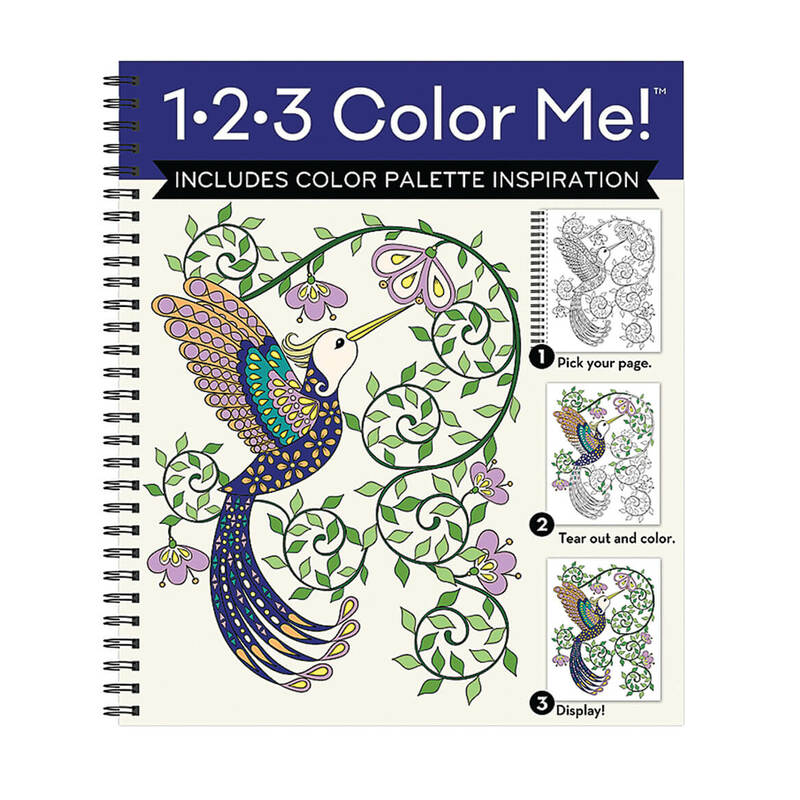 The product description reads, "...Includes 27 coloring pages of single-centric hummingbird images to color..." However, there is only one image of a hummingbird (the one shown on the cover). The rest of the book has stupid images such as a cup of pencils, an owl, a boat, etc. I purchased this because I love hummingbirds. I am completely disappointed!! I enjoy most of the coloring books that are offered, especially the ones with numbers & color suggestions. My wife and her friends at church have a coloring group, and they like to use a variety of coloring options. This is just a new one for them. I color to relieve stress. Our daughter loves all things hummingbird! I color in regular books, so I would like to try the 123 books. I am going to do several pictures for my son. He and his grandmother used to watch the hummingbirds feeding right at her kitchen window. ease of coloring for someone with poor eyesight. I like to color by number. Was excited to find these. I love color by number and they are hard to find.